Detect dangerous gas and inform operators of precautions under adverse situation. It is widely used in petroleum, chemistry, coal mine, metallurgy, paper making, fire- fighting, municipal administration, telecommunication, food, textile and other industries. 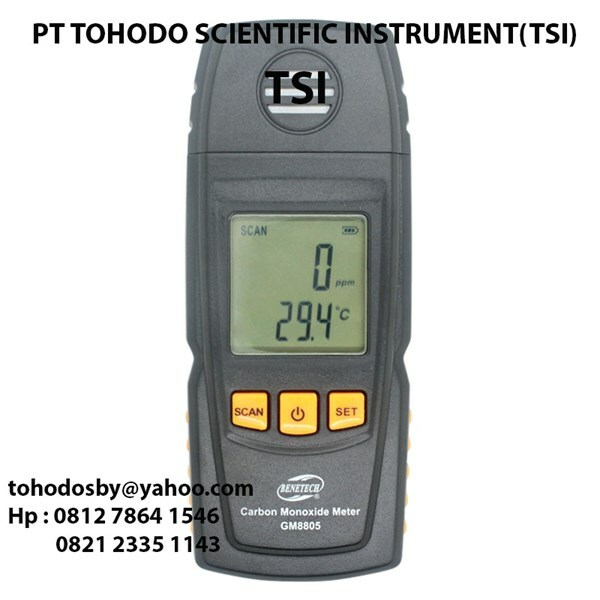 Alat Instrument, Alat Laboratorium, Alat Lab, Scientific Instrument, Alat Laboratorium Pertanian, Alat Laboratorium Industri, Alat Laboratorium Kesehatan, Alat Laboratorium Fisika, Kimia, Biology, Alat Laboratorium Kualitas Air, Alat Laboratorium Lingkungan Hidup, dll Tohodo Scientific Instruments DTC ( Darmo Trade Centre) Wonokromo Surabaya LT. 4 Blok A No. 63 Telp : ( 031) 848 4947, ( 031) 7700 1340, 082123351143 Fax : ( 031) 848 4947 E-mail: tohodosby@ yahoo.com E-mail : hargapalingmurah@ yahoo.com ADHESIVES AIR We dealing for manufacturing and supply Scientific Instrument. ALUMINUM FOIL AMPULES ANAEROBIC SYSTEM ANEMOMETERS ANIMAL HANDLING ANTI-FOAM SPRAY APPAREL APPLICATORS AUTOCLAVES BAGS BALANCES BAROMETERS BATHS, WATER BATTERIES BEAKERS BELL JARS BENCH PROTECTORS BLENDERS BLOOD COLLECTION BOILING STONES BOOKS, REFERENCE BOTTLES BOWLS BOXES BRUSHES BURETS BURNERS CALCULATORS CALIPERS CA PS CARBOYS CARTS CENTRIFUGES CENTRIFUGE ACCESSORIES CHARTS CHROMATOGRAPHY CLAMPS/ SUPPORTS CLEANERS CLOCKS CLONING and EXPRESSION COLORIMETERS COMBUSTION APPARATUS CONDENSERS CONDUCTIVITY CORKS COTTON COUNTERS CRUCIBLES CRUSHERS C RYOGENIC CUPS CYLINDERS DATA LOGGERS DENSITOMETERS DEODORIZERS DESICCANT DESICCATORS DIALYSIS APPARATUS DIGESTORS DISHES DISPENSERS DUROMETERS ELECTRICAL ELECTROPHORESIS ENVIRONMENTAL CHAMBERS EVAPORATORS EXTRACTION APPARATUS FILM, SEALING FILTERS FLASKS FLOWMETERS FLUID BED DRYERS FORCE GAUGES FORCEPS FREEZE DRYERS FREEZERS FUNNELS FURNACES FURNITURE GAS GLASS GLASSWARE KITS GLOVES GLOVE BOXES GRINDERS HEATERS HISTOLOGY HOMOGENIZERS HOODS HOT PLATES HYBRIDIZATION HYDROMETERS HYGROMETERS ICE CONTAINERS ICE MAKERS INCUBATORS INK INOCULATING SUPPLIES JARS KEY CHAIN KNIVES LABELING SYSTEMS LABELS LADDERS LAMPS LENS PAPERS LIGHTERS LIGHT METERS LUBRICANTS MAGNETIC FIELD MAGNIFIERS MAILERS MANOMETERS MATS MEDIA MELTING POINT APPARATUS MERCURY ANALYZER MICROARRAYS MICROSCOPES MICROSCOPE COVER GLASS MICROSCOPE SLIDES MICROTOME MILK TESTING APPARATUS MILLS MOISTURE DETERMINATION MORTARS AND PESTLES MULTIWELL PLATES NOTEBOOKS NUCLEIC ACID ANALYSIS OIL TESTING APPARATUS ORGANIZERS OSMOMETER OVENS OXYGEN ANALYSIS PAILS PAINT TESTING PCR PENS AND PENCILS pH ANALYSIS PIPETS PIPETTORS PIPETTORS, TIPS PITCHERS PLATES POINTERS POLARIMETERS PRESSES PROTEIN ANALYSIS PUMPS RACKS RECORDERS REFRACTOMETERS REFRIGERATION RINGS RULERS SAF ETY SAMPLERS SECURITY EQUIPMENT SERUM SHAKERS SHEARS SHIPPERS SIEVES SIGNAL TRANSDUCTION SOIL ANALYSIS SOUND METERS SPATULAS SPECIFIC GRAVITY SPECTROPHOTOMETERS STATIC ELIMINATORS STIR BARS STIRRERS STOPCOCKS STOPPERS SYRINGES TACHOMETERS TANKS TAPE TENSIOMETER THERMOMETERS THERMOREGULATORS TIMERS TISSUE CULTURE TITRATION TONGS TOOLS TRANSFECTION TRANSILLUMINATORS TRAPS TRAYS TUB ES TUBING TURBIDITY ULTRASONIC PROCESSORS URINOMETERS VACUUM CLEANERS VIALS VISCOMETERS WASH BOTTLES WASHERS WATCH GLASSES WATER PURIFICATION WATER and WASTEWATER ANALYSIS WEATHER STATIONS WEIGHING WEIGHTS WINE ANALYSIS WIPERS WIRE Manufacturer : A& D Engineering Acculab Scales Agilent Air Systems Air Technology Air-Tite Products Airflow Technical Products Akro-Mils Alconox, Inc. Alpec Alpha Pro Tech American Allsafe American Bantex Analytical Instrument Systems Analytical Measurements Ansell Edmont APHA Arbill Industries Arrow Engineering Astral Diagnostics ATM Test Sieves Bacharach Barnant Company Barnstead/ Thermolyne Bausch & Lomb Becton-Dickinson Co. Bel-Art Products Bellco Glass Bethlehem Apparatus Co. Bico Binder Bio-Tek Biohit Biomol Bioplas Bioscience International Biospec Products Blazer Corp. Boekel Industries Brand Tech Scientific Branson Ultrasonics Brinkmann Instruments Broadley James Corp. BYK-Gardner Cannon Instrument Co. Cardinal Health Cargille Laboratories Carver Cedco Chemetrics Chromatography Research Supplies Chromolox Cooper Instruments Coors Ceramics Co. Corning Life Sciences Cramer Industries CSC Scientific D-Star Instruments Davison Chemical Decon Laboratories, Inc. Defelsko Corp. Dickson Company Difco Laboratories Dimco-Gray Drummond Scientific E-C Thermo Eagle Manufacturing Eberbach Edvotoek Electro-Tech Systems Elkay Products/ Kendall Elmeco Engineering EMD Chemicals Englehard-Clal Envirco Eppendorf Erdco Engineering Erie Scientific ERTCO Excel Scientific Exeter Analytical Extech Instruments Fairfield Digital Falcon/ B-D Labware Fawcett Fisher Research Friedrich and Dimmock Gast Manufacturing GFS Chemicals Gillis Glas-Col Apparatus Global Water Grace Biolabs Gretag Macbeth GT Instruments H-B Instrument Co. Hach Hamilton Co. Hanna Instruments Harvard Apparatus Hausser Scientific Heathrow Scientific Heidolph Instruments Hemco Corp. High Five Products Hirschmann Inc. Honeywell Burdick & Jackson Humboldt I-Chem IEC Thermo IKA-Works Intermetro Industries International Cryogenics ITS/ Industrial Test Systems J.G. Finneran Assoc. J.T. Baker ( MBI) Jencons Scientific Jones Medical Justrite Manufacturing Kapak Corp. Kendall Healthcare Products Kent Scientific Kimberly-Clark Kimble Kontes Inc. Koehler Instrument Co. Lab Glass Labconco Corp. Labcor Products Labomed LaMotte Company Lazar Research Leica Leneta Co. Lightnin Lindberg/ Blue M Liquid Metronics Inc. Little Giant Corp. Lym Tech Scientific Mallinckrodt Baker Inc. Market Forge Marvel Maryland Plastics Master Appliance Matheson Gas Products Med-E-Cell Mediatech Medline Memmert Ovens Mettler Toledo Microflex Miller Products Miltex Instrument Co. Mitutoyo MM Industries Mo Bio Laboratories Modulus Data Systems Molecular Bio-Products Monarch Instruments MP Biomedicals Myron L N-Con Systems Nalge Nunc International National Labnet National Scientific Naugatuck Glass Co. Newark Wire Cloth Newtex Industries Nilfisk-Advance America Nor-Lake NPS NRD Inc. Nusun Oakton Instruments Ohaus Scale Corp. OI Analytical Omni International Omnifit Ltd. Onset Computer Corp. Orbecco-Hellige Orion Thermo Osmonics OWL Scientific Pall Gelman Sciences Personna Medical Petroleum Analyzer Co. Phipps & Bird Photovolt Plas-Labs Plasticoid Polarware Corp. Polyfoam Packers Corp. Polymeric Systems Polyscience Corp. Pope Scientific Popper & Sons Post Medical Precision Scientific Premier Mill Princo Instruments Propper Manufacturing Protective Industrial Products Qbiogene Qorpak Quincy Labs Revco, GS Lab Equipment Ricca Chemicals Richard Allen Scientific Robot Coupe Rotronic Samco Scientific Sartorius Instruments SAS Safety Scientific Industries Scientific Lab Supplies Scientific Specialties, Inc. Scotsman Sentron, Inc. Shamrock Science Specialties Sheen Instruments, Ltd. Sheldon Manufacturing Inc. Simport Plastics Ltd. SKC, Inc. Sonics & Materials Inc. Sorenson Specialized Products, Inc. Sper Scientific Staco Energy Products Starna Cells Svedala Ind. Swift Instruments Sybron Chemicals Talboys Engineering Corp. Tantec, Inc. Taylor Precision Products Taylor Wharton Techne Inc. Tekmar Tempshield Thermo Finn Thermo Forma Thermo Haake Thermo Spectronic Torrey Pines TrippNT Troemner Tygon UDY Corp. UVP, Inc Vangard International Visco Alpha VistaLab Technologies Voss Technologies WA Hammond Waring Products Welch Vacuum Westco Scientific Westover Scientific Whatman Wheaton Science Products Willson Safety Wisconsin Oven WTW Measurement Systems Yamato Scientific Yellow Springs Instruments ( YSI) Zeltex Elcometer, Paint Thickness Gauge Fogging Machine Marka Jalan. 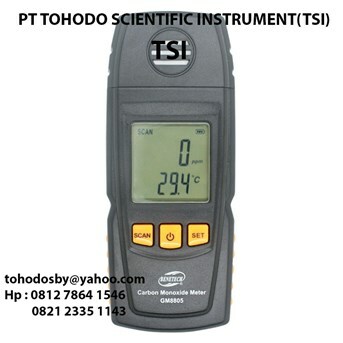 Sepatu Pengaman Safety Shoes, Safety Jogger, Biker Shoes Lutron, Anemometer, Sound Level Meter, Tachometer, Vibration Meter, ph meter, conductivity meter, DO Meter, Turbidity Meter, Torque Meter AA-104 ACA Bench Meter ABH-4224 Cup Anemometer/ Barometer/ Humidity/ Temp ABH-4225 Vane Anemometer/ Barometer/ Humidity/ Temp AH-4223 Vane Anemometer/ Humidity/ Temperature AL-03S AL-04 Heavy Duty Alligators AL-05 Heavy Duty Alligators AM-402 Anemometer Adapter AM-4100G Anemometer + hybrid power AM-4200 Anemometer AM-4201 Anemometer AM-4202 Anemometer AM-4203 Anemometer AM-4203HA Anemometer AM-4204 Hot Wire Anemometer AM-4204HA Hot Wire Anemometer AM-4205A replaced AM-4205 Humidity/ Anemometer Meter AM-4206 Anemometer AM-4206M Anemometer AM-4207SD AM-4210 Anemometer AM-4213 Anemometer, mini vane AM-4214 Hot Wire Anemometer AM-4216 Anemometer, mini vane AM-4220 Cup Anemometer AM-4221 Cup Anemometer AM-4222 Van Anemometer AP-9VA ( round 2.5mm dia. plug) Power Adapter AP-9VB ( battery snap plug) Power Adapter AP-GTE Plug Conventer AP-GTU Plug Conventer AT-20 Frequency Counter optional accessory AV-102 ACV Bench Meter BACH-220 for DT2289 BAUM-1 x 4pcs for DT2289 BB-22 Frequency Counter optional accessory BB-400 Black Body BTM-4208SD ( END DEC) CA-03 ( soft carrying case) Soft Carrying Case CA-04 ( very small soft case) Soft Carrying Case CA-05A ( Big soft case w/ Sash) Soft Carrying Case CA-06 ( Hard Carrying Case) Soft Carrying Case CA-08 ( Big Hard Carrying Case) Soft Carrying Case CA-52A ( Small soft case w/ Sash) Soft Carrying Case CA-201 Mini Aca Current Meter CA-203 DCA/ ACA Current Adapter CA-501 DCA/ ACA Current Adapter CA-502 DCA/ ACA Current Adapter CB-933 Cable Tester/ cable Identifier CBOX-406 Capacitance Decade Box CC-420 Current Calibrator CC-421 Voltage/ Current Calibrator CC-422 Current Calibrator CC-MA Simulator CC-PH PH Calibration Checker CC-TEMPJ CC-TEMPK Type K Temp Calibration Checker CD-14 Conductivity Solution CD-4301 Conductivity Meter CD-4302 Conductivity Meter CD-4303 Conductivity Meter CD-4303HA Conductivity Meter CD-4306 Conductivity meter CD-4312 Conductivity Meter CD-4322 Conductivity Meter CDPB-03 CL-2006 Chlorine Meter CM-9930 ( 4000 count) 2000 A DCA/ ACA Clamp Meter + Dmm CM-9940 ( 4000 count) Mini DCA/ ACA Clamp Meter CM-9941 Smart Clamp Meter CM-9942G Clamp Meter CO-210M CO Controller CT-2012 Controller/ Alarm/ Indicator DA-103 DCA Bench Meter DC-515 Digital Caliper DC-516 Digital Micrometer DH-802C DI-6200 Insulation Tester DI-6300 Insulation Tester DI-6300A Insulation Tester DI-6400 Insulation Tester DL-6054 DL-9601A replaced DL-9601 Data Logger real time, paper less recorder DL-9602SD DL-9954 Aca Leakage Tester DM-1000 Mini 1000A DC/ AC Clamp Meter DM-6007 ACA Clamp Meter DM-6046 Clamp Meter DM-6052 Mini Dca/ Aca Clamp Meter DM-6053 Mini Aca Clamp Meter DM-6055C Clamp Meter DM-6056 Dca/ Aca Clamp Meter DM-6058 Dca/ Aca Clamp Meter DM-9020 Pocket DMM DM-9023 ( Capacitance Meter) Capacitance Meter DM-9027T+ CA-03 4 1/ 2 digits DMM, true rms DM-9030 + IP-07 Automotive Tester DM-9031+ IP-07 DM-9033 ( replaced bt DM-9023) DM-9080 Multi-Functions DM-9090 Multi-Functions DM-9092 Auto range DMM DM-9093 DM-9680 Multimeter DM-9680KITS Multimeter ( DM-9680 + CA06+ SW8101-WIN+ UPCB02) DM-9960 Cat lll-1000V Auto range Dmm DM-9961 Cat lll-1000V True rms DMM DM-9981G Green Power Multimeter DM-9982G Smart Multimeter DM-9983G Smart Multimeter DO-5509 Dissolved Oxygen Meter DO-5510 Oxigen Meter DO-5510HA Oxigen Meter DO-5511 DO-5519 Dissolved Oxigen Meter DP-30 Volt meter Module DP-40 Volt Meter DR-99420 Panel Meter DR-99ACA Panel Meter DR-99ACV Panel Meter DR-99DCA Panel Meter DR-99DCV Panel Meter DR-99TEMP DS-121( Accessories f/ GSM120/ 121 Wire less Detect Switch DT-1236L Laser Photo/ Contact Tachometer DT-2199 Stroboscope DT-2230 Photo/ Contact Tachometer DT-2234B ( Photo) Photo Tachometer DT-2234BL Laser Photo Tachometer DT-2235B ( Contact) Contact Tachometer DT-2236 ( Photo/ Contact) Photo/ Contact Tachometer DT-2237 Gasoline Tachometer DT-2238 ( Photo/ Contact) Photo/ Contact Tachometer DT-2239-2 ( 240VAC) DT-2240D+ PX-01 Panel Tachometer DT-2244 ( Photo) DT-2245 ( Contact) Contact Tachometer DT-2258 Photo/ Contact Tachometer DT-2259 Tachometer/ Stroboscope DT-2268 Photo/ Contact Tachometer DT-2269-220V Digital Stroboscope DT-2289 Stroboscope, Xenon BACH-220 for DT2289 BAUM-1 x 4pcs for DT2289 DT-2349 Stroboscope DT-2299 Stroboscope, Led array DT-2336G Photo/ Contact Tachometer DT-2339 Stroboscope, xenon DT-602 Tach/ M DV-101 DVC Bench meter DW-6060 Watt Meter DW-6090 Power Analyzer DW-6091 Power Analyzer DW-6092 ( Aro. Feb' 09) 3 Phase Power Analyzer DW-6160 ( END DEC) Watt Meter EA-100 EH-20 Electrode Holder EM-900P EM-9000 Environment Meter EM-9100 Environment Meter EM-9200 Intelligent Meter EM-9300SD Environment Meter EMF-810 Micro Wave Leakage Detector EMF-819 # Axis RF Electromagnetic Field Meter EMF-822A EMF tester EMF-823 EMF Tester EMF-824 EMF Adapter EMF-825 EMF Tester + type K Thermometer EMF-826SG EMF-827 EMF Tester, Separate probe EMF-828 3D EMF Tester EMF-839+ EP-03H+ EP-04L Electromagnetic Field Meter ET-3000 Earth resistance Tester FC-2500A+ AT-20+ PB-21 Frequency Counter FC-2700 Frequency Counter, bench type FC-2700+ PB21+ NN23 FC-422D Panel Meter FG-2003-220V Function Generator FG-20KG Force Gauge FG-20KG-RS232 FG-5000A Force Gauge FG-5000A-RS232 FG-5005 Force Gauge FG-5020 Force Gauge FG-5100 Forge Gauge FS-1001 + WG-01 Test Stand FT-9950 A/ DC Fork Current Tester GB-100KG Bench Scale GB-150KG Bench Csale GB-4501 GC-2028 CO2 Meter GCH-2108 CO METER Co Meter GCO-2008 CO meter GM-1500P Digital Balance GM-2000R GM-225G GM-300P Digital Balance GM-3KG 3 kg Digital Scale GM-500 Digital Scale GM-5000 Digital Scale GM-5001 Digital Scale GM-501 Digital Scale GM-600G Digital Scale GM-600P Digital Balance GMCB-89 Interface Cable GS-400 Ultrasonic Transmitter GS-5800 Ultrasonic Leakage Detector GS-5800+ GS400+ EA100 GSM-120 GSM Home Security System GSM-840 GSM Control System GSM-888 GSM Control System GSM-889 GSM Controller GU-3001 Magnetic Meter HA-701 HA-702 HD-200PAL Anemometer Probe HD-200PLX Light Probe HD-200PRH Humidity Meter Probe HD-3008 HS-01 Holster HS-02 Holster HT-305 Pocket Humidity Meter HT-306 Humidity/ Temp, Meter HT-3006A replaced HT-3006 HT-3006HA Humidity meter HT-3009 Precission Humidity + Temp + Dew Point HT-3015 replaced 3005A/ 3005HB HT-3015HA Humidity Meter HT-315 replaced HT-319 Pocket Humidity Meter HT-3007SD ( END DEC) HT-4006G Humidity/ Temp, Meter + type K/ J Temp HV-40 High Voltage Probe IP-07 Inductive Pick Up Sensor IP-09 Inductive Pick Up Sensor IR-961 KV-05 LAN-922 Lan cable atester LBOX-405 Inductance Decade Box LCR-9063 Pocket LCR Meter LCR-9073 LCR Meter LCR-9083 LCR Meter LCR-9183 LCR Meter, bench type LF-423 Line Frequency Monitor LG-09 LM-8000 Anemometer, Humidity Meter, Light Meter LM-8010 LM-8012 LM-8020G Green 4 in 1 Meter LM-8100 4 in 1 Meter LM-8102 5 in 1 Meter LM-81AM Anemometer, Humidity Meter, Light Meter LM-81AT Anemometer LM-81HT Humidity meter LM-81LX Light Meter LS-04 200 AMP Current Shunt LX-02 Light Adapter LX-100 Light Meter LX-101 Light Meter LX-101A Light Meter LX-102 Light Adapter LX-103 Light Meter LX-104G Light Meter LX-105 Light Meter LX-107 Light Meter LX-107HA Light Meter LX-108 Light Meter LX-110 Light Meter LX-1102 Light Meter LX-1108 Light Meter LX-1118 Light Meter MALE YELLOW JACK MHB-382SD ( END DEC) MHT-381SD ( END DEC) MO-2001-2 ( 240V) MO-2002-230V Milliohm Meter MO-2013-230V High Precision Milliohm Meter MP-31 probe f/ MS7000HA/ 7003 MS-7000 Moisture Meter MS-7000HA Moisture Meter MS-7001 Moisture meter MS-7002 Moisture meter MS-7003 Moisture Meter MS-7011 MS-71P ( must cal. with meter) Humidity Content Probe MTM-380SD ( END DEC) MY-81AP Anemometer MY-91HT NB-24 Frequency Counter NI-214 Negative Ion Water Tester NN-23 Frequency Counter ORP-14 replaced OPR-04 ORP Electrode ORP-203 ORP Meter ORP-213+ ORP-14 ORP Meter ORP-400 Cal. Solution OXDP-02 OXEL-03 Probe-Filling Electrolyte OXHD-04 Spare probe Head with Diaphragma OXPB-01C( 4meter) replaced 01B OXPB-01C ( PROBE f/ DO-5510) OXPB-09 F/ DO5509 OXPB-11 F/ DO-5511/ 5510 PB-21 Frequency Counter PC-6009 Power Clamp Meter PC-6010 Power Clamp meter PCD-431 Conductivity Meter PCD-432 Conductivity Meter PCO-350 CO Meter, pen type PDO-519 Dissolved Oxigen Meter PDO-520 Dissolved Oxigen Meter PDT-2250 Controller/ Monitor PO2-250 PE-01 pH electrode PE-02 Heavy Duty PH Electrode PE-03 pH Electroda PE-03K7 PH electrode + Temp probe PE-04HD Spear Tip pH Electrode PE-05T pH Electroda PE-06HD Spear Tip pH Electrode PE-08 Plane PH Electrode PE-11 pH Electroda PE-21 ph Electroda PH-04 pH 4 Buffer Solution PH-04A pH Buffer Solution PH-07 pH 7 Buffer Solution PH-07A pH 7 Buffer Solution PH-109G pH Meter PH-201 pH meter PH-202 pH Bench Meter PH-206 Temp Meter PH-207 pH meter PH-207HA pH meter PH-208 pH meter PH-209G Green pH Meter PH-211 Ph Meter PH-212 Soil Ph Meter PH-214 pH bench Meter PH-220 Pen pH Meter PH-220S Soil PH meter PH-221 pH Meter PH-222 Pen PH Meter PH-223 Pen PH Meter PH-321M PH Monitor PHB-318 Humidity/ Barometer/ Temp Meter PHT-3109 Panel Humidity/ Temp Meter PHT-316 Humidity/ Temp Meter PI-06 Photo Sensor PL-03 PLX-111 Light Meter PM-9100 Manometer PM-9100HA Manometer PM-9102 Manometer PM-9107 Manometer PMS-713 Moisture Meter PMS-714 Soil Moisture Meter PPH-2108 pH Controller/ Monitor PPS-9312 Pressure Controller/ Monitor PRS-2321 Controller/ Monitor PS-403 Pressure Adapter PS-9302 Pressure Meter PS-9302+ PS100-xxBAR+ CA-06 PS93DV-100BAR PS93DV-10BAR PS93DV-20BAR Pressure Transducer PS93DV-2BAR PS93DV-400BAR PS93DV-50BAR PS93DV-5BAR PS-93MAxxBAR Pressure Transducer PS-100-2BAR PS-100-400BAR PS-100xxBAR Pressure Sensor PSA-311 Salt Meter PTM-806 Thermometer PTM-816 Thermometer PUV-360 Pen UV Light Meter PVB-820 Pen Vibration Meter PWA-301 Pure Water Meter PX-01 Proximity Sensor PX-02 Proximity Sensor RBOX-408 Resistance Decade Box RCB-110V RCCB Checker RCB-220V RCCB Checker RGB-1001 RGB-1002 Color Analyzer RHA-33 Humidity Calibrator RHA-75 Humidity Calibrator RSC-801 Conventer RT-606 3 Phase Rotation Tester RT-608 3 phase & Motor Rotation tester RT-616 3 Phase Rotation Tester SB-01 Wind Shield Ball SC-941 ( 94dB) Sound Calibrator SC-942 ( 94dB/ 114dB) Sound Calibrator SCALE-U002 SL-3113G Sound Level Meter SL-406 Sound Adapter SL-407 Sound level meter SL-4001 Sound level meter SL-4010 Sound Level Meter SL-4011 Sound level meter SL-4012 Sound level meter SL-4013 Sound level meter SL-4022 Sound level meter SL-4023SD ( END DEC) SL-4030 Sound level meter SL-4112 Sound Level Meter SL-4113G Green Power Multimeter SPA-GE SPA-UK SPA-US ST-50 Shunt SW-808 8 meters Data Acquisition Software SW-9960 SW-D003-WINCD SW-DL2005 SW-U801-WIN Software for intelligent Instrument TA-35 Tachometer Adapter TA-601 Tachometer Adapter TC-920 Thermometer Calibrator TL-01S TL-02AS Alligator Test Lead TL-03 for DM-9023 TL-09S TL-88 Heavy Duty Test Lead TLSM-15 SMD Test Clips TM-2000 Thermometer TM-903A Thermometer TM-906A Dual Thermometer TM-907A Preccision degree Thermometer TM-909AL replaced TM-900 Infrared Thermometer TM-914C replaced TM-902C Dual Channel Thermometer TM-916 Dual Thermometer TM-916HA TM-917 Precision degree Thermometer TM-917HA TM-919AL replaced TM-900 Infrared Thermometer TM-9126 Thermometer type K/ J/ R/ E/ T TM-924C Two Channel Thermometer TM-925 Two Channel Thermometer TM-926 TM-928G Dual Channel Thermometer TM-936 Thermometer TM-939 IR Thermometer TM-946 ( to offer TM-947SD better) Thermometer TM-947SD TM-949 TM-956 Infrared Thermometer TM-958 Infrared Thermometer TM-959 Infrared Thermometer TM-966 ( forehead IR thermometer) TM-969 Infrared Thermometer TP-01 Type K Temperature Probe TP-02A Type K Temperature Probe TP-03 Type K Temperature Probe TP-04 Type K Temperature Probe TP-06 Optional Temp, Probe for pH Meter TP-07 Optional Temp, Probe for pH Meter TP-100 PT 100 ohm Temp.Probe TP-101 f/ TM-946 TP-11 TQ-8800 Torque Meter TQ-8801 Torque Wrench, 100 kg-cm TQ-8803 Torque Wrench, 100 kg-cm TU-2016 Turbidity Meter UPCB-01 USB Cable UPCB-02 Rs 232 Cable for intelligent Instrument UPCB-03 ( 20M) f/ PRS-2321 UPCB-04 UPCB-06 for DM-9960 USB-01 USB-01 UV-340A UV-340 UVA-365 UV0-A Light Meter UVC-254 UV-A Light Meter VB-8200 Vibration Meter VB-8201HA Vibration meter VB-8202 Vibration Meter VB-8203 Vibration meter VB-8210 Vibration Meter VB-8212 Vibration Meter VB-8213 Vibration Meter VB-8220 Vibration Meter VC-9200 Vacuum Meter VT-8204 Vibration/ Tachometer WA-2015 pH/ orp, DO, CD/ TDS Meter WA-2017SD pH/ ORP, DO, CD/ TDS, Salt Meter WA-300 Pure Water Tester WG-01 Wedge Grip WH-08 Case holder f/ HT-306 WT-200 YK-10LX Light Meter, YK-2000PK YK-2001PH Intelligent PH Meter YK-2001TM Intelligent Thermometer YK-2004AH Hot Wire Anemometer YK-2004CD Conductivity Meter YK-2014CD Conductivity Meter YK-2005AH Hot Wire Anemometer YK-2005AM Anemometer YK-2005CD conductivity meter YK-2005LX Light Meter, real time data logger YK-2005RH Humidity Meter real time data logger YK-2005TM Multi-function Thermometer YK-2005WA pH/ orp, DO, CD/ TDS Meter YK-200PAL Anemometer probe YK-200PAM Metal Anemometer probe YK-200PAS Mini Vane Anemometer probe YK-200PATC ATC probe YK-200PCD conductivity Probe YK-200PCT Conductivity/ TDS probe YK-200PDO Dissolved Oxygen YK-200PIR Infrared Temperature probe YK-200PLX Light Probe YK-200PRH Humidity probe YK-21PH pH meter YK-22CT Conductivity/ TDS Meter YK-22DO Disolved Oxygen Meter YK-23RP ORP Meter YK-30WA Pure Water tester YK-31SA Salt Meter YK-35UV UV Light Meter YK-43CD Conductivity meter YK-36UV UV Light Meter YK-80AM Anemometer YK-80AP Anemometer YK-80AS Anemometer-80AS YK-90HT+ CA-06 TR-PHT1A4 pH Transmitter PE-03 for TR-PHT1A4 TR-DOT1A4 Dissolved Oxygen Transmitter TR-CDT1A4 Conductivity Transmitter TR-CLP1A4 TR-VBT1A4 Vibration Transmitter TR-PST1A4 Clamp Transmitter TR-SLT1A4 Sound Transmitter TR-TMK1A4 Temp Transmitter TR-PS2W-2BAR TR-PS2W-5BAR TR-PS2W-10BAR TR-PS2W-20BAR 2 wires Pressure Transmitter TR-PS2W-50BAR TR-PS2W-100BAR TR-PS2W-400BAR TR-RH2W Wires Humidity Transmitter Optional for TR-TMK1A4 TP-01 Type K Temperature Probe TP-02A Type K Temperature Probe TP-03 Type K Temperature Probe TP-04 Type K Temperature Probe TR-TMP1A4 Temp Transmitter TP-100 for TR-TMP1A4 CT-2002-MA TR-HUM1A4 TR-AMT1A4 TR-LXT1A4 TR-RPM1A4 RPM transmitter TR-HZT1A4 Frequency Transmitter TR-LDT1A4 Load Cell Transmitter TR-PTT1A4 Potential Transmitter TR-ACV1A4-150V ACV Transmitter TR-ACV1A4-300V TR-ACA1A4-1A ACA transmitter TR-ACA1A4-5A TR-DCV1A4-200MV TR-DCV1A4-2V TR-DCV1A4-20V DCV Transmitter TR-DCV1A4-200V TR-DCA1A4-200UA DCA Transmitter TR-DCA1A4-2MA TR-DCA1A4-20MA TR-DCA1A4-2A TR-DCA1A4-5A TR-CLP1A4 ( N.A.N) Clamp Transmitter Dataloggers; Ebro EBI 20 TH/ Set - Lutron - Comet T3110 -Deltatrak -AZ Instrument - Orion - Hanna- Extech -Sound Level Meter, Vibration Meter, Dissolved Oxygen Meter, pH Meter, Conductivity Meter, Total Suspended Solid- TSS Analyzer, ShimpoTachometer. We Sell : Analytical Balance merk AND, Radwag, Ohaus, Scientech, acculab, pesola, avery, Metler Toledo, Tanita, dll Anemometer extech, lutron, az, smart, Delta Ohm, testo, vaisala. Area Heat Stress Monitor, quest Audio Meter BOD Incubator merk Aqualytic BOD Meter merk Aqualitytic Centrifuge Chlorineterase Kit COD Meter merk Aqualitytic Colony Counter Conductivity Meter Delta Ohm Current Meter Flowwatch, Dissolved Oxygen Meter Distilation Dry Gas Meter dan Wet Gas Meter merk Shinagawa Ekman Grab, merk Wildco Elektromagnetic Field EMF Meter Fit Test Flow meter Flow probe current meter merk Global water Flue Gas Analyzer Merk Anapol Swiss Furnace Gas Analyzer Gas dan Smoke Analyzer Merk Assemblad Italy Gas detector Tube Kitagawa Gas Sampler GPS Harm Vibration Meter High Volume Sampler, Merk Staplex USA Homogenizer Horizontal Alpha Water Sampler, merk Wildco Hot Plate Cimarec Human Vibration Meter Human Vibration Meter Integrating Sound Level meter Delta ohm Isokinetic Stack Sampling Kjedahl Digestion merk Gerhardt Kjedahl Distillaion merk Gerhardt Laboraatory Refrigerator merk Aqualytic Laboratory Blender Lemari Asam ( Fume hood) Low volume sampler Staplex Lux Meter Lux Meter, Light Meter Magnetic Stirer Micromanometer with Pitot Tube Multi Gas Analyzer for Ambient Air Merk Nova Multi Gas Detection Niskin PVC Water Sampler, Merk KC Denmark Noise Dose Meter Oil on Water Opacity Meter Ringleman Fuji Scope Personal Dust Sampler Personal Heat Stress monitor Personal monitor Petite Ponar Dredge , merk Wildco Ph. Meter Delta Ohm Photo Meter Photo-Radiometer Plankton Net, merk Wildco PM 10 dan PM 2.5 , Merk Staplex PM10, PM2, 5 Tactical Air sampler Merk Airmetric USA Portable Sounder Portable Suspended Solids Merk Partech Portable Water Test kits ( Microbiologi Sound Level meter Delta ohm , Lutron Spectrophotometer UV-VIS Spiro Meter Theodolite Thermohygrometer Total Organic Carbon merk Lachat Total Suspended Particulate Staplex Turbidity meter Universal Ovens merk Memmert Vaccum Pump Van Dorn Water Sampler, Merk KC Denmark Vertical Beta Water Sampler, merk Wildco Water Bath ( penangas air) Water Quality Checker TOA, Horiba Weather Station Delta Ohm Contact Us : Tohodo Scientific Instrument DTC ( Darmo Trade Center) LT.4 Blok A No.63 Jl. Raya Wonokromo Surabaya, Jawa Timur Email: tohodosby@ yahoo.com Telp : 031- 7700 1340, 031- 848 4947 Fax : 031- 848 4947, Hp : 0821 2335 1143..